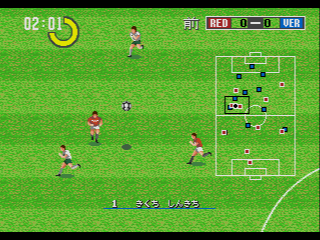 PREMISE:          Sega's in-house soccer sim for the Japanese market. IMPRESSIONS:      Does it play like FIFA? Yes. Does it sound like FIFA? Pro Striker or the Pro Striker series. This is the first game that I can play with my three cousins together at the same time! Besides the multiplayer support, this game also offer a easy control system, and also, the graphics and sound is also on mega drive standard. 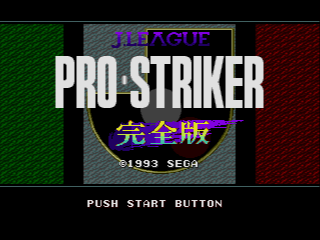 If you like the real J-league, you would love this game!